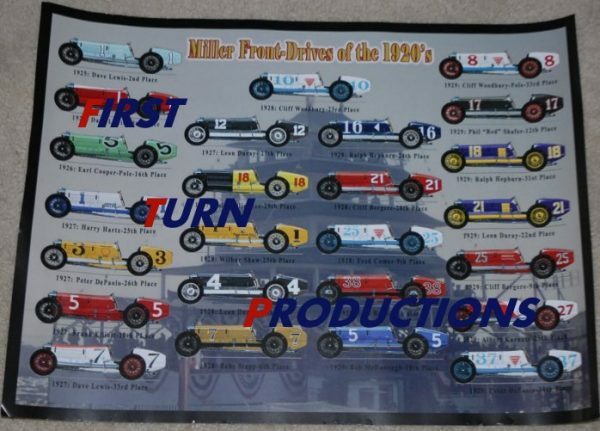 In the 1920’s, Harry Miller designed some of the most legendary, historic and innovative race cars ever to run at the Indianapolis Motor Speedway and on the board tracks around the country in what many consider to be the Golden Era of auto racing. **The First Turn Productions water marks are not on the actual poster. Featured on the poster are the Miller Front Drives from 1925 to 1929 along with the drivers name and finishing position in the Indy 500 under the car.